Its never before had so many flowers on it. The snow, rain and bittter cold must suit it!!!! 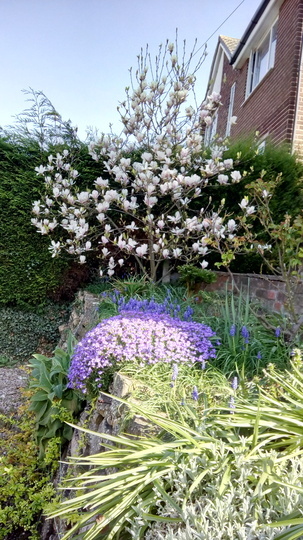 We noticed that all the Magnolias in this area are flowering brilliantly. They must like all this moisture. the purple beneath it looks like a pot. Great photo. See who else is growing Magnolia x soulangeana (Saucer magnolia).